When it comes to trail shoes, durability is key. Like a good pair of boots you need outdoor and trail hiking shoes to last and Ridgemont Outfitters is making that happen. Not only can you take these up a mountain, but you can roll into the bar or restaurant in town afterward in them and look like you actually tried that day. 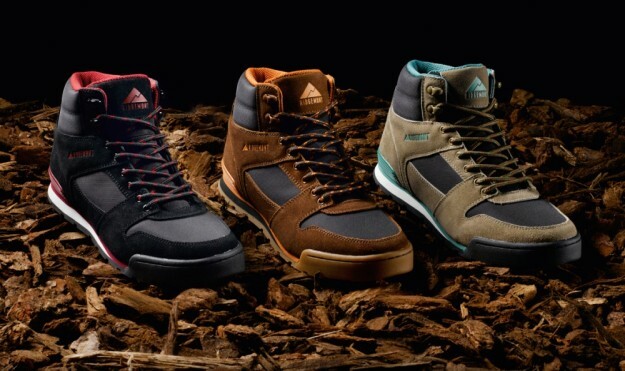 Check out the full Ridgemont Outfitters Monty Hi review here. The full Ridgemont Outfitter Monty Hi shoe review shows how these durable shoes can take tons of abuse. The Monty Hi is very similar to hiking shoes of the past and these throwback models have great proportions for all kinds of use. The shoes are not bulky like you’d find in a lot of hikers and can be worn with shorts, jeans, cargo pants or khakis. They’ve got a great sole that is made out of tough rubber and won’t cause you to slip. Having an active lifestyle like many hunters, fishermen and outdoor lovers requires a shoe that can keep up. I know that when I wear a Ridgemont Outfitters shoe, like the Monty Hi, that I’ll be ready for anything. 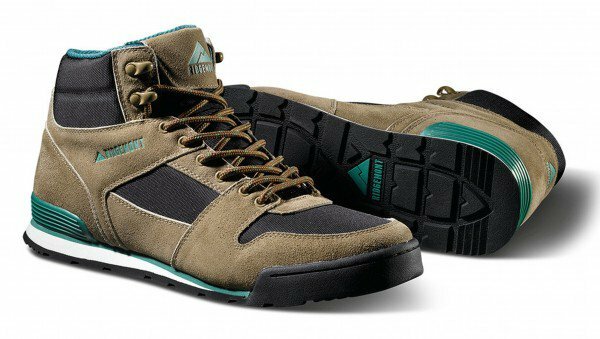 The Monty Hi hiking shoes are water resistant and come in a high and low model. Both models are perfect for a morning hike, then heading to your local breakfast spot, but are capable of being out in the wild for weeks on end. You can purchase your own pair of the Ridgemont Outfitter Monty Hi shoes on their website here for $99. Or you can buy the Monty Los for $95. If you like these shoes, then you may really like the Ridgemont Outfitter Mesa shoes.